Note: this is not a commentary over the smartness of any individual or group of athletes, the issue is simply the type of muscles an athlete has developed. Muscle that has been built for the single and solitary purpose of being flexed during bodybuilding competitions so that muscle size and symmetry can be compared across bodybuilders who are posing. In bodybuilding there is no functional demand required of muscle: speed, distance or height are not functions of bodybuilding competitions, therefore muscle mass and volume are no impediments to peak performance. In fact, obscene muscle mass and volume is the goal. Bodybuilders follow the construct that muscle is built when overloaded to the point that it is literally torn/ripped/shredded, and then allowed to heal. The goal of working out is to damage muscle, rupturing fibers at the cellular level and then supplementing the rest/recovery/healing period with equally obscene volumes of protein and steroids, to obtain muscle hypertrophy (growth). You may not be a bodybuilder, but if your training is no different than that of bodybuilders – that is, training based on principles of Hi Intensity Interval Training (HiiT), any variations of HiiT (e.g. Tabata, bootcamps, spin classes), and/or heart rate or power zone training – then you are training to develop STUPID muscles. That you are burning hundreds upon hundreds of calories, churning out more wattage than ever before, lifting more weight than ever before, sustaining an elevated heart rate longer than ever before is irrelevant to your potential at delivering a peak performance in sport because this type of training is solely applicable to competing as a bodybuilder; its absolutely useless for any athletic competition that involves speed, endurance and movement quality (i.e. technique/skill). If your training is focused on developing STUPID muscles, then you are exposing yourself to undue risk of injury and illness because STUPID muscles are so STUPID that they typically overwhelm the tendons that attach them to bones, the bursa’s protecting the bones beneath the muscle, the ligaments and cartilage of joints the muscles move. If that wasn’t enough, STUPID muscles due to their overwhelming demand for energy overwhelm the cardio-respiratory systems and compromise the immune system rendering you constantly vulnerable to coughs, colds, congestion (sinus/chest), not to mention the flu and all other types of infection. That still isn’t the end, because the sheer mass of STUPID muscles demands extraordinary periods of rest and recovery during which the muscle is at extreme risk of significant damage (i.e. strains & ruptures) which precludes consistent day after day training; bodybuilders often train a muscle group only once a week to rest sufficiently prior to another training session. Disagree? 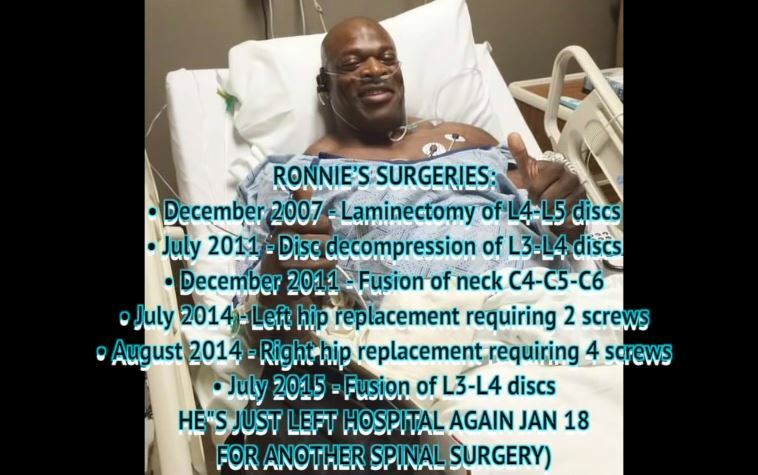 No problem, but ask 9x Mr Olympia why he has had countless low back surgeries, neck surgeries, joint replacement surgeries. If HiiT and zone training are so smart… then why is he is unhealthy? Why is he so prone to injury with so much muscle? And, why do so many bodybuilders fall over dead from enlarged hearts, atherosclerosis, heart attacks, TIAs, strokes (and not forgetting… drug overdoses and suicide)? Muscle that has been trained to execute specific motor programs with agility, balance, and coordination with maximum efficiency (i.e. trained to generate peak sustainable power at the lowest energetic cost). In sport, speed, distance, and height are the metrics of peak performance therefore minimizing muscle volume and mass is as important as developing peak power and/or sustained power. As a result, power produced by the athlete must be considered as a % of their body weight (i.e. power / kg). Consistent peak performers in sport achieve this outcome through HRTT [Hi Repetition Technique Training]: training focused on the entire athlete – brain, body & spirit – so as to be capable of executing sequences of ever increasing complex movement patterns which allow the athlete to generate maximum power with minimal muscle mass & volume hence minimizing the energetic cost of generated power (which maximizes endurance, and minimizes rest & recovery periods as well as the risk of injury and illness). If there is any single athlete who represents SMART training & SMART muscles, it is Bruce Lee. His fighting style was unorthodox: “street fighting without fighting” he called it, where his goal was maximum effect with minimal movement. To achieve such a fighting style, his training was equally as unorthodox. Lee pulled from everywhere… running, cycling, boxing, calisthenics, gymnastics. But mindless repetition of existing protocols was not the path, what Lee advised was mindful, it was in fact intensely mindful repetition of movement sequences which he layered upon prior sequences evolving punches, jabs, and kicks into lethal explosions. Lee understood that true training is training of the brain through the body, not simply training the body. Yet all this speed, power, endurance, and skill did not emanate from a monster of a man. Like many of today’s top IAAF runners and top UCI/Worldtour cyclists Bruce Lee weighed in around 140lbs and stood 5’7″. Lee is tiny compared to those who step into the octagon today, but most MMA (Mixed Martial Arts) fighters would be scared to take on Bruce Lee as an opponent because the ferociousness of his movements – movement which coupled acceleration initiated deep from within the core and bound it with blink of an eye speed plus precision – resulted in a degree of power that ended fights with just one attack. June Keet Do – the name Bruce Lee’s gave to his SMART training philosophy – had no form, it was formless, like water. It moved, it flowed, it evolved as Lee evolved; never repeating the training that previously yielded success, Lee constantly sought by studying and by training to eliminate one weakness after another. I believe he succeeded as to this day, there still is no athlete – imho – who remotely compares. That students of Bruce Lee are still uncovering his genius by following in his footsteps reveals just how SMART his training truly was and still is. What is it that I want to achieve with my training? Are you training in the manner that matches your goals? There is no shame in not knowing how to train, but claiming as a coach to know yet not to know, or believing as an athlete to know but not to know… is pointless. There is no value in deluding yourself or others as there is no time to waste: your greatness, your potential awaits. Find a trainer, a coach, a mentor who themselves are on the endless path of SMART training, and like a student who seeks apprenticeship under a martial art grand master submit to the pursuit of wisdom and you will live in a way that reveals the majesty of being alive, a life where you will experience greatness because it is within you to be discovered, explored, enjoyed.